Here at OrionX.net, our research agenda is driven by the latest developments in technology. We are also fortunate to work with many tech leaders in nearly every part of the “stack”, from chips to apps, who are driving the development of such technologies. In recent years, we have had projects in Cryptocurrencies, IoT, AI, Cybersecurity, HPC, Cloud, Data Center, … and often a combination of them. Doing this for several years has given us a unique perspective. Our clients see value in our work since it helps them connect the dots better, impacts their investment decisions and the options they consider, and assists them in communicating their vision and strategies more effectively. We wanted to bring that unique perspective and insight directly to you. “Simplifying the big ideas in technology” is how we’d like to think of it. 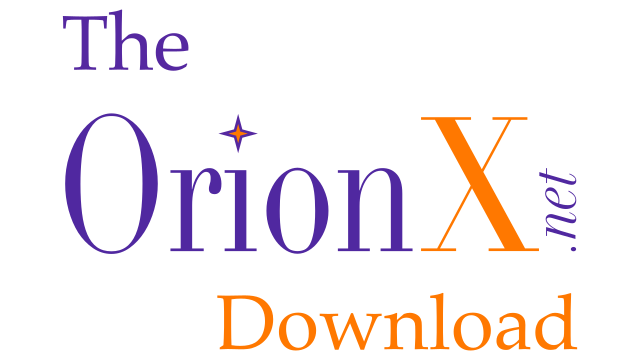 The OrionX Download is both a video slidecast (visuals but no talking heads) and an audio podcast in case you’d like to listen to it. 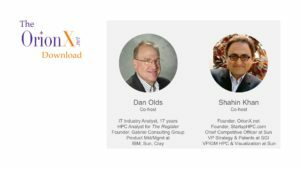 Every two weeks, co-hosts Dan Olds and Shahin Khan, and other OrionX analysts, discuss some of the latest and most important advances in technology. If our research has a specially interesting finding, we’ll invite guests to probe the subject and add their take. Please give it a try and let us know what we can do better or if you have a specific question or topic that you’d like us to cover.